Primary School at Genesis Christian College is an innovative learning environment that is abuzz with joyful, colourful activity where children delight in learning, playing, being and doing. Our mission is to provide high quality education that develops a passion for lifelong learning, Christian character and a desire to serve God in the wider community. Our Primary School cares for the whole child with a balanced curriculum aimed at developing academic, spiritual, social, emotional and physical excellence. It is designed to equip students with the essential skills and knowledge necessary to participate in the College and wider community with confidence and a sense of belonging. Our dedicated staff uphold the Gospel values that are central to our mission and vision. Meaningful, engaging and rigorous learning is the core business of the College and we achieve this through the development of a curriculum that is student-centered. An enquiry based approach is used to foster active student engagement, collaboration and effective learning. “You Can Do It” pastoral care program. A number of specialist teachers support the classroom teacher in the delivery of this varied curriculum. Effective curriculum is designed around a pedagogical framework, Dimensions of Learning, which provides a common language and approach to teaching and learning from Prep through to Year 10. All curriculum is delivered from a distinctive Christian worldview. Teachers plan lessons using this framework, which encompasses developing social/emotional wellbeing, good personal and study habits, and complex reasoning and problem solving skills. In this model, the students are actively involved in their own learning and the teacher is the facilitator of the learning process. Student data is collected through a range of diagnostic testing tools. Data is collected continuously throughout a student’s time at the College and the results guide teaching practices and also help to identify the needs of particular students. At Genesis, it’s common to see a classroom where students are engaged in discussing, debating and constructing while using graphic organisers and effective thinking strategies to investigate and find solutions. Information technologies that are embedded aim at improving student outcomes and the quality of the learning experiences. Embedded Information technologies aim at improving student engagement and the quality of their learning experiences. This type of innovative classroom is exciting and vibrant with learning being underpinned by a Christian world view that God is the creator of everything. Christian values, which are taught and modelled, infuse the atmosphere of the classroom where learning takes place in a disciplined, well controlled and stimulating environment. 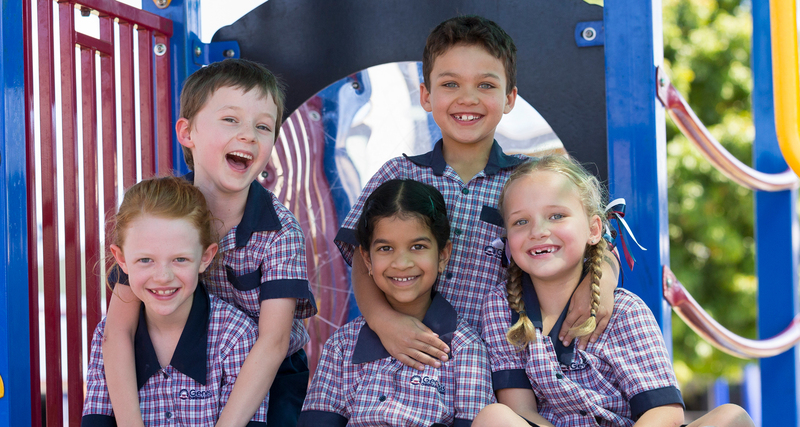 If you’re looking for a primary school in the Moreton Bay Region, consider Genesis Christian College. To enrol your child in a school where Gospel values are central, academic, sporting and cultural opportunities abound and children delight in their education, contact our Enrolments team.